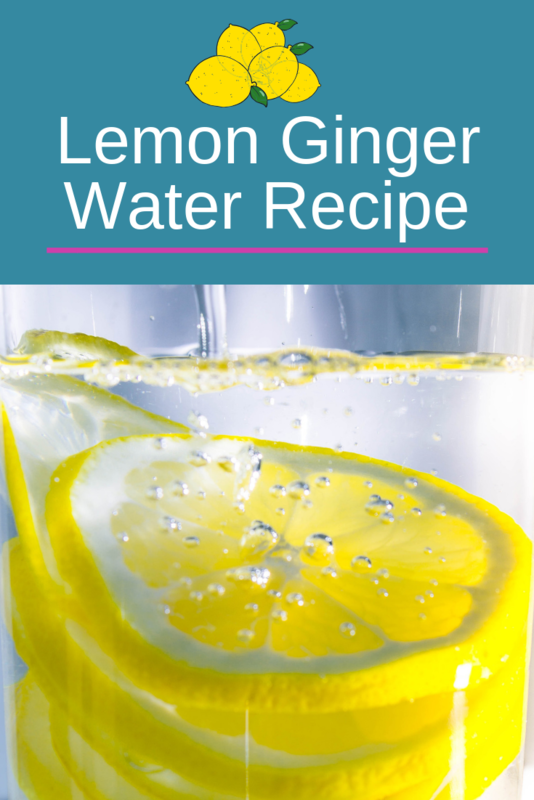 Discover the Chalene Johnson Lemon Ginger Water Recipe in this article. The mixture claims to be a metabolism boosting recipe that also helps with daily hydration. She wants to to blend all of this together and then to combine it with a gallon of water and store it in the fridge. You must add a cup of water and drink it. 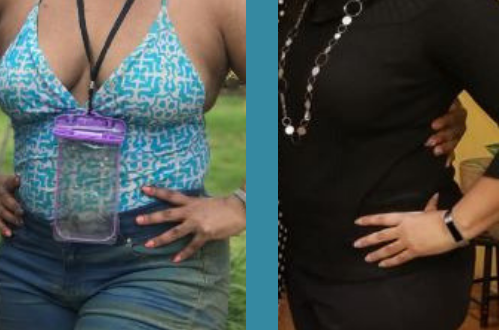 Both of these lemon ginger water recipes can be served either hot or cold. 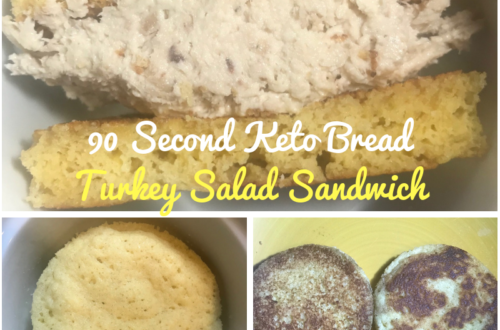 I think you should try both of these recipes and see which one you like the most. Maybe combine the two together to make your own concoction. Be creative. Anti-Inflammatory – Ginger is a natural anti-inflammatory and by drinking lemon ginger water this could potentially aide in reducing inflammation in the body. Lower Blood Sugar – Ginger has also been known for reducing blood sugars in the body and this could aide people who suffer from sugar diabetes. Soothe An Upset Tummy – Ginger has been known to have a positive impact on digestion. 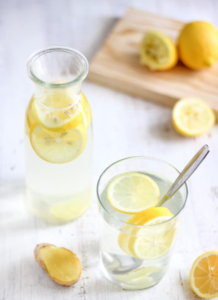 Drinking lemon ginger water warm can help with digestion and improve an upset stomach. Antioxidant Properties – Ginger also has strong antioxidant properties which can aide in reducing the oxidative stress that damages your cells and reduce aging. Vitamin C – Because lemons are rich in vitamin C they help to build up the body’s immune system naturally and help you fend off things like the common cold. PH Balance – Drinking lemon water adds acid to the body which helps to balance your PH levels. Increases Metabolism – Now this is the main reason why those seeking to lose weight love lemon water. It helps to increase your metabolism. 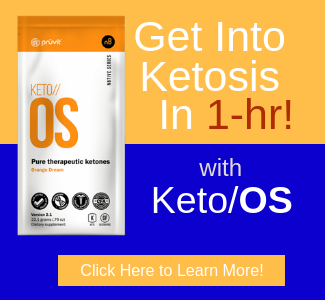 Decrease Muscle Soreness – Who wants to ache after exercising? No one right? Well this drink can assist with reducing muscle soreness. 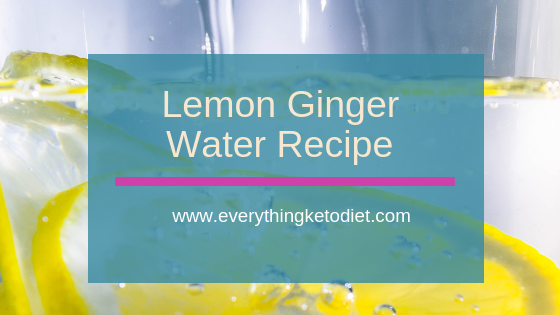 Both Lemon and Ginger separately have their own positive impact on the body, but when you put them together the way they way it is combined in this Lemon Ginger Water Recipe, it makes for a powerful combination. Some people say you should drink lemon water first thing in the morning to help get the body going. They add that you should also drink it on an empty stomach. They say that it helps to improve the gastrointestinal tract and that it aides in the process of elimination. I have not personally experienced this. They also say that it helps to detoxify the liver. Dr. Berg says to drink it also in the morning. But he says if you’re using it for weight loss then it is okay to drink his concoction twice a day. 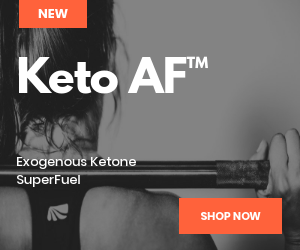 Chalene Johnson is a fitness and marketing expert who brands herself as a motivational speaker. She is a New York Times best-selling author and a podcaster. Her podcast has boasted over 20 million downloads. A lot of people are obsessed with her age. She claims that she’s 49, but I don’t believe it. She’s definitely in her 50’s, you can tell by the eyes. However, we will go with her Hollywood age of 49, when it’s probably more like 59 (which to me would be a better story). Chalene has several products related to health and business marketing. 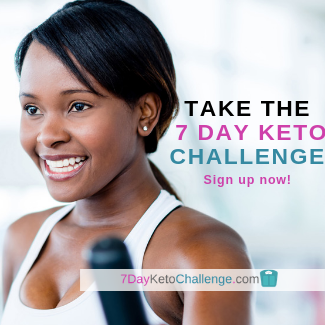 Her products and programs can help anyone interested in up leveling their health and wealth game. Chalene’s views on the Keto diet program is very positive. She actually expresses her surprise regarding the fact that the diet has all of a sudden gained popularity when it has been around for almost 100 years. 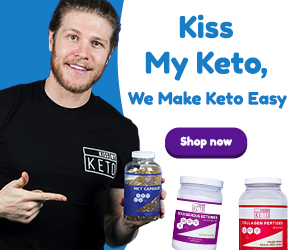 She speaks opening about Mr. Abrahams and his son’s battle with epileptic seizures and how he has used the Keto diet to help with the seizures. Meryl Streep tells the story of Mr. Abrahams and his son in the 1997 movie called, First Do No Harm, which is all about his battles with the medical community. The medical community is so closed-minded as it relates to alternative healing methods. 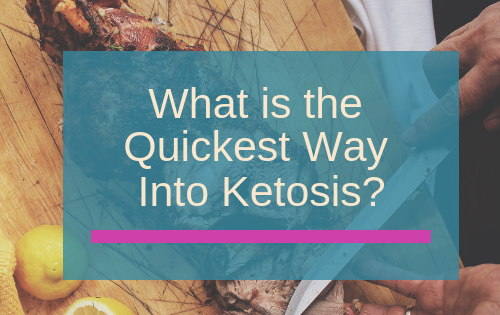 As it turns out, following a Keto protocol is good for not just seizures but also autism, type 2 diabetes and weight loss. Perform 2-3 actions from your list daily. Get a copy of the worksheet by clicking here.